With the Miami Open coming to a close, the 2019 clay court season is here. This signals the annual shift for many players from hard court shoes to clay court shoes. While most hard court tennis shoes are adequate for clay, it’s recommended to get a shoe specifically designed for the surface. Clay court tennis shoes typically feature denser uppers in order to protect your feet from fine particles and debris, while the outsoles are optimized for the unique terrain. In this piece, we’re putting the spotlight on some of our favorite clay court tennis shoes for the 2019 season. Babolat has a relatively quiet, but solid shoe game, and it would be wrong to leave the Clay Jet Mach II off of our list. 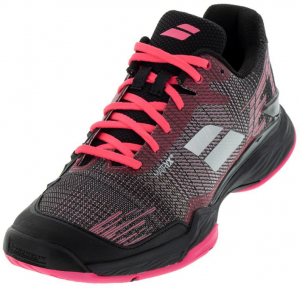 Babolat’s Jet family is known for speed, so expect quick, dynamic performance from these shoes. 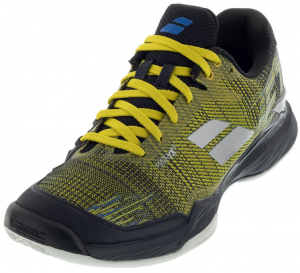 They feature a very unique upper constructed from Kevlar and Polyamide fibers known as Matryx® 2.0. It’s designed to be lightweight, durable, and supportive. Underneath, the Jet Mach II Clay utilizes a Michelin Performance outsole refined for clay court use. Please note that these shoes run a little bit narrow and small. We recommend ordering a half size up if you want to give them a shot. 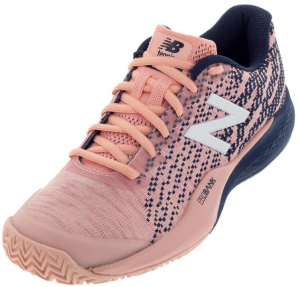 New Balance has a great selection of tennis shoes, and is generally known for their number of widths; however, this diversity in offerings now spans to clay models. 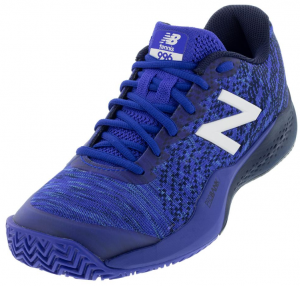 The Clay 996v3 features a knit, nylon-infused upper for lightweight and dynamic performance, as well as a number of stabilizing and cushioning technologies in the midsole. The 996v3 is used by a variety of ATP and WTA professionals. 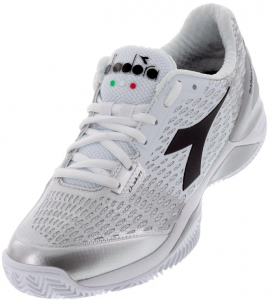 Diadora is known for their slightly wide, and very comfortable tennis shoes. The Clay Speed Blushield 3 fits this description. These shoes stem from the hard court model that comes with an outsole warranty. Although the clay model does not come with a warranty, you can still expect a durable and supportive experience. They’re littered with various technologies to achieve this, but the most important aspect of these shoes in the eyes of many are their first-fit comfort. 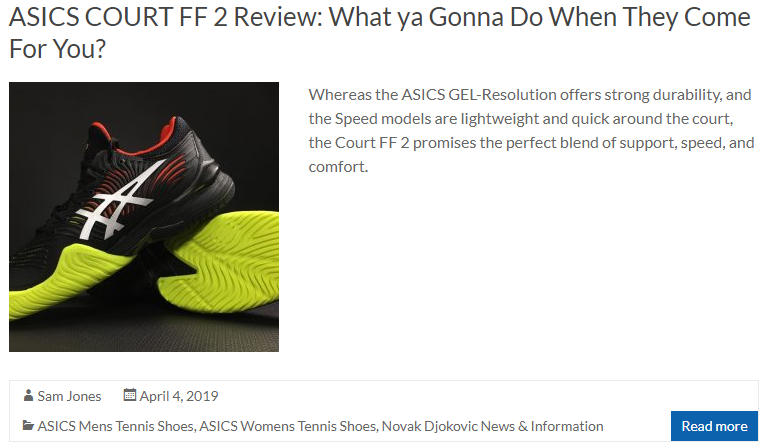 The GEL-Resolution 7 was the longtime shoe of Novak Djokovic, so the Clay GEL-Resolution 7 was bound to show up on our list. These shoes offer outstanding support and comfort, and are responsive enough for world-class players. 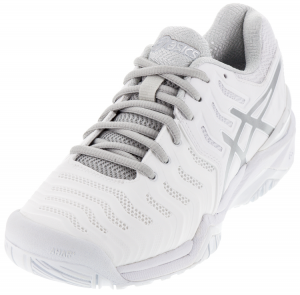 The hard court model is ASICS’ premier durability shoe, so you can expect long-lasting performance, as well. 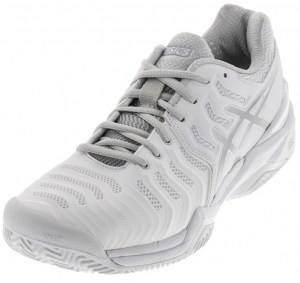 Another notable clay ASICS shoe is the Solution Speed FF Clay (in Men’s and Women’s). This model represents a lighter, speedier option. As many tennis players know by now, the SoleCourt Boost is adidas’ replacement for the Barricade Boost. They offer outstanding support, durability, and comfort. The Clay SoleCourt Boost is actually brand new (it was released on April 10, 2019). As expected, they come with Boost™ technology for premier cushioning and energy return, and Adiwear™ outsoles optimized for performance on clay surfaces. 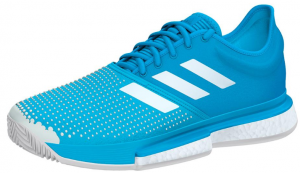 A number of pros use this shoe, such as Dominic Thiem, Lucas Pouille, Angelique Kerber, and Garbine Muguruza. 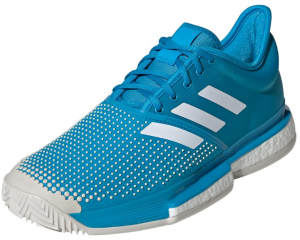 Also launched on April 10 were new Clay Adizero Ubersonic 3.0s (in Men’s and Women’s). The Ubersonics are adidas’ leading lightweight tennis shoes. This one was a no-brainer. There is no way we could leave the tennis shoe of Rafael Nadal, the undisputed King of Clay, off of our list. 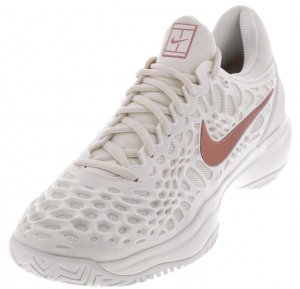 Hard Court Cage 3s are Nike’s top durability shoes, and offer a great combination of cushioning and responsiveness. The clay model comes directly from this lineage. Zoom Air technology is a leading factor for their dynamic response on court, while the XDR Rubber outsoles are tailored for clay surfaces. Another fantastic option from Nike is the Clay Vapor X (in Men’s and Women’s). These lightweight shoes are Roger Federer’s choice. 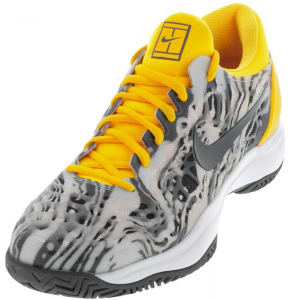 Because of the fact that a large percentage of tennis players stick to hard court tennis, the market for clay court tennis shoes is relatively slim. 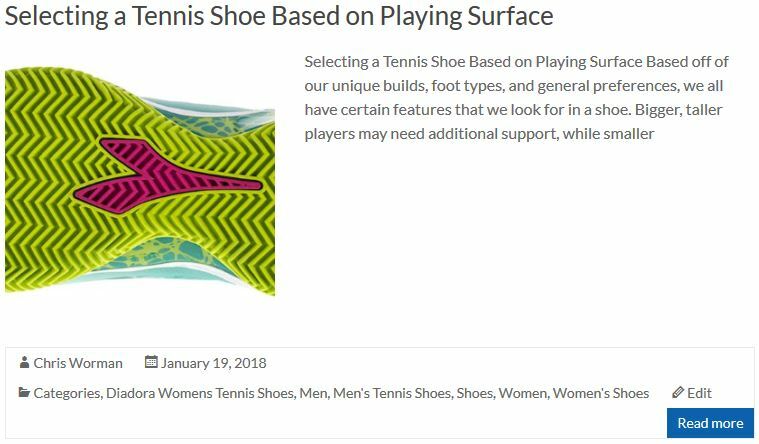 In the US especially, there’s an abundance of hard courts compared to clay courts, and most casual tennis players simply don’t use clay courts enough to warrant a specialized pair of shoes. This is why tennis shoe manufacturers typically only offer clay tennis shoes in their premium models. They know the players who will buy them are looking for the best clay shoes available. That being said, there are still a few options for tennis players seeking a deal on clay court tennis shoes. Two come from ASICS – The GEL-Challenger 12 Clay (in Men’s and Women’s) and The GEL-Court Speed Clay (in Men’s and Women’s). The former is geared toward durability and cushioning, while the latter is designed for lightweight performance. 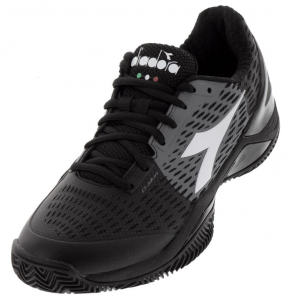 Another shoe comes from Diadora – The Speed Competition 5 Clay (in Men’s and Women’s). It’s pretty comfortable, and represents a nice all-around tennis shoe. ← ASICS COURT FF 2 Review: What ya Gonna Do When They Come For You?